Jim Gilliam has faith in people connecting. His body reminds him every day of the amazing things that even perfect strangers are capable of achieving when they work together. 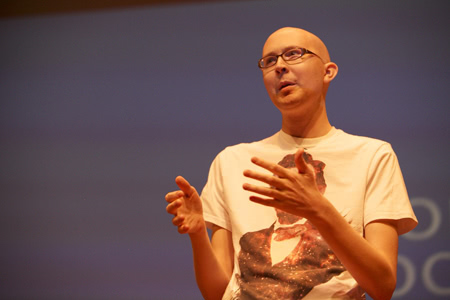 To survive cancer and the dreadful effects of numerous rounds of chemotherapy, he needed to replace both lungs and replenish his blood with the organs and bone marrow of two people he’ll never know. Gilliam knows he owes his life to others, so he’s tried to honor his enormous debt by devoting every moment to what he loves most, the Internet–and the world changes people connected through the Internet make happen. Nurturing his boyhood, Internet fascination, he would work as an engineer at Lycos, building one of the very first search engines. Later, he became the CTO at Business.com. 9/11 and its aftermath awakened the activist in him. He went on to start Brave New Films, a non-profit media company. He produced four documentaries with Robert Greenwald. The crowds that turned up to see a film about the war in Iraq were organized through the web. Screenings were coordinated online. The way responsive audiences managed to slowly change collective discourse all strengthened his conviction in the creative forces the Internet has the power to unleash. After reading an angry blog by Gilliam regarding UCLA’s initial rejection to their waiting list for a lung transplant, a volunteer at Brave New Films wrote to the institution and accused them of performing easy surgeries to inflate survival rates. The email spurred action. For every hurdle Gilliam faced, he found a network of people whose efforts literally saved his life. Now he works to impart the magic of connecting in others. Jim Gilliam’s stories and his projects put the breathe back in that overworked word: inspiration. More than 500,000 people have viewed his memorable speech, “The Internet is My Religion,” delivered at the 2011 Personal Democracy Forum. He’s helped found TweetProgress.us, a directory of progressive Twitter users, as well as GovLuv.org, a non-partisan governmental directory. White House 2 put forth his alternative vision of the real White House’s website. 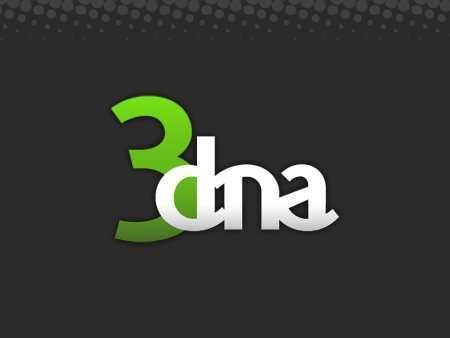 Gilliam currently works as the founder and CEO of 3dna (the company name a nod to the DNA of the two donors combined with his own that keep him alive). This startup builds “internet tools to shake up a broken political system.” Act.ly focuses on using Twitter to mobilize citizens into participating in petitions, literally tweeting change. Perhaps Gilliam’s most ambitious project to date, NationBuilder is a community organizing system. This SaaS platform helps aspiring leaders (regardless if your stripe is politician, non-profit, or even filmmaker) build websites and establish a community following. Investor Ben Horowitz says, “NationBuilder is the rarest of products that not only has the potential to change its market, but to change the world.” In addition to Horowitz, Sean Parker, Chris Hughes, Dave Morin, Dustin Moskovitz and others recently led a $6.25 million round of funding. 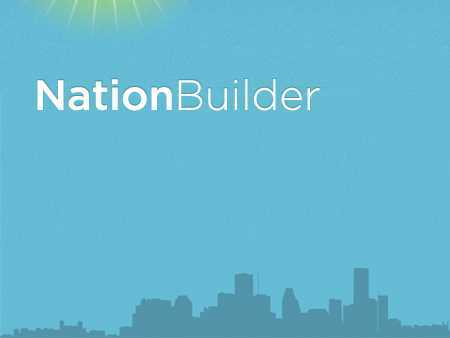 Since launching last year, NationBuilder has already helped more than 1,800 leaders organize over 500 “nations” that have attracted at least 2 million supporters. While NationBuilder’s tools might play a major role in the 2012 election cycle, democratizing the ability to manage community outreach and spread grassroots communication could prove to be the greater legacy. Then again–though he’s anything but slowing down–maybe the best work has already been done: Jim Gilliam makes it easier to have faith in people.